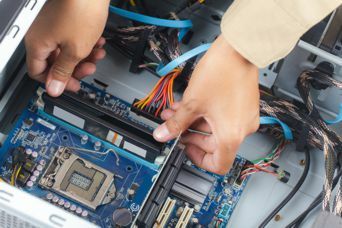 ESRS - Electrical Standards Repair Service, Inc.
General services at ESRS include circuit board diagnosis, repair, product testing, programming, and logistics. World class customer service combined with MIL STD-45662A quality Standards; make ESRS Inc. the most qualified resource to meet the strict demands of the automotive, medical, aerospace industries and beyond. From 1 single instrument repair to annual contracts, our flexible repair process accommodates the “service center” needs of large corporate manufacturers. ESRS offers the widest repair scope of equipment categories and manufacturers in the test equipment industry. Repair of your test equipment assets has been the sole focus of our business since our inception in 1963. Getting Started - Getting started with ESRS is easy! With express account creation, and RMA service request processes that can be completed in minutes, your equipment can be scheduled for service today. Create An Account – We require a minimal amount of data to initiate your account. An immediate email confirmation of your account status will be sent following account creation. Once initiated, you may return as many times at your convenience to request RMA. Request Service RMA – Select the Request a quote button anywhere on the website to be taken directly to our RMA request. 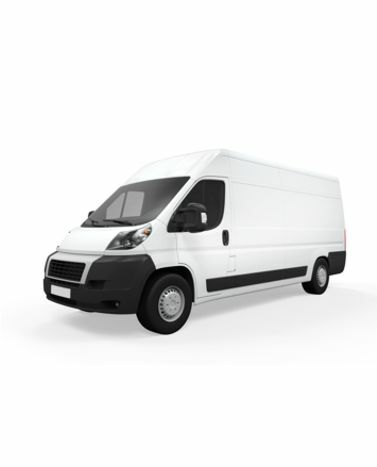 An almost immediate email confirmation with RMA documentation to accompany your instrument will be sent following completion of the service request. We also provide complete repair and calibration services for other manufacturers’ instruments from DC through RF. 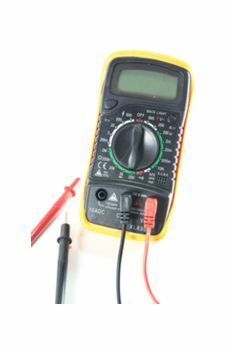 (Examples: scopes, counters, digital voltmeters, multimeters, signal generators, synthesizers, synchro/resolvers, phase angle voltmeters, angle position indicators, AC/DC calibrators, power supplies, meters, standards, dividers, etc.) The company maintains State of the Art High Voltage measurement capabilities up to 160KV DC and 120KV AC. ESRS offers cosmetic refurbishment service for your test equipment assets. ESRS service estimates include the option to select Cosmetic Refurbishment of your instrument if desired. Cosmetic Refurbishment fees are quoted based on individual asset’s physical condition after evaluation. ESRS recommends post-repair calibration service for your instrument through our sister company R.A.E. Services Inc.
RAE Services offers the level of calibration service your organization requires. Selecting calibration from RAE services prepares your repaired equipment for immediate incorporation into your work process following return to your facility. Platinum, Gold and Silver Maintenance Services. Details upon request. ESRS has formed long-standing technical partnerships with leading test and measurement manufacturers for whom we act as approved repair and calibration agents. Aim-TTi (Aim and Thurlby Thandar Instruments) are a UK based manufacturer of test instruments with a particularly strong range of DC power supplies with a long heritage. The origins of Thurlby Thandar instruments Ltd date from the late 1970s when two separate companies, Thurlby Electronics Ltd. and Thandar Electronics Ltd. were both designing and manufacturing electronic test equipment within close proximity in Cambridgeshire, England. In 1989 the two companies were merged into a new organization - Thurlby Thandar Instruments Ltd. Aim Instruments was incorporated as a company set up to develop and manufacture an innovative positional current probe. 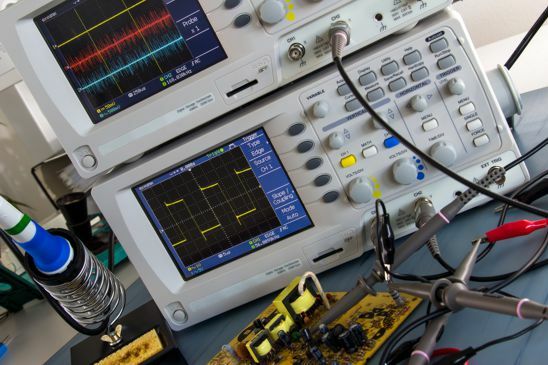 Today Aim-TTi is one of the foremost producers of general purpose electronic test instruments and laboratory power supplies in Europe, selling products in over fifty countries. Products include DC power supplies, electronic loads, multimeters, frequency counters, function generators, spectrum analyzers, RF test equipment, current measurement probes, power analyzers and component bridges. ESRS act as service and calibration agents for Aim-TTi in the USA. ESRS Inc. is dedicated to exceeding our clients' expectations by continually improving all areas of our business. Management's commitment to support the Quality Management System (QMS) and to provide technology and resources necessary to meet QMS objectives guarantees our competitive edge and continual improvement. At ESRS "Service is more than just a business, it's a way of life". © 2014 ESRS, Inc. All Rights Reserved.